Recommened start age - 12 years old. 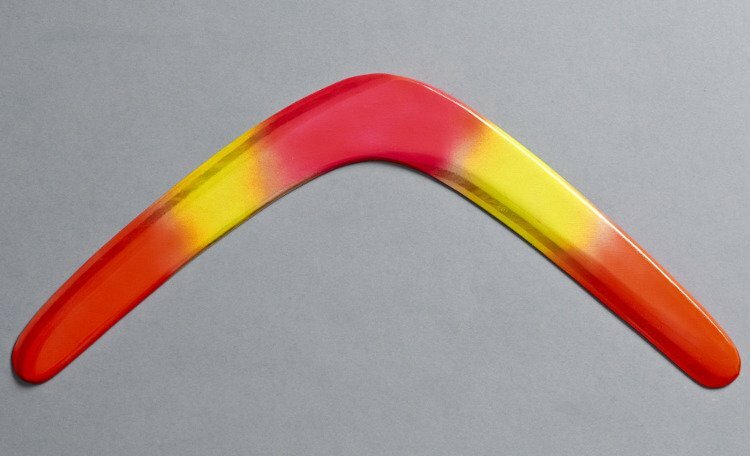 Banan XL has a traditional, slightly curved shape. 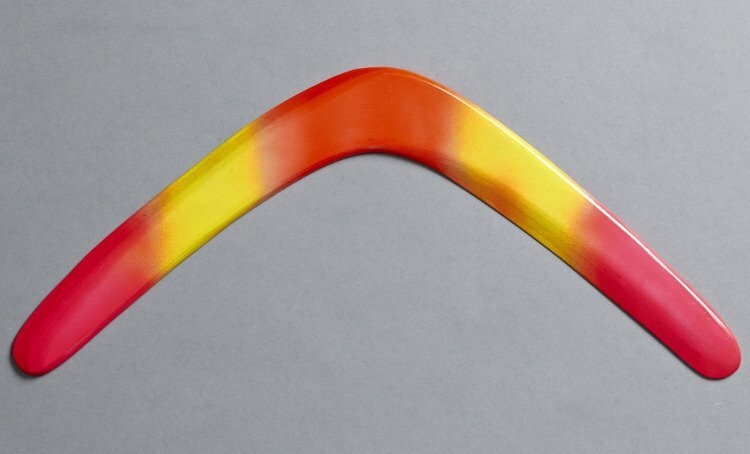 For many, boomerang with this shape, it is a real boomerang. The association came from the fact that the boomerangs were originally made of naturally curved branches. Hand made, painted with flashy, vivid Fluoro transparent paints. It’s OK for the beginners, but requires force for good throw.